What Honolulu needs is the right tree, in the right place, getting the right care. Civil Beat staff recently planted 100 trees in a single day. Way to go! Tree plantings will make a difference — when done right. As the March 12 article pointed out, myriad challenges — weeds, pests, watering — make survival of the saplings a challenge. 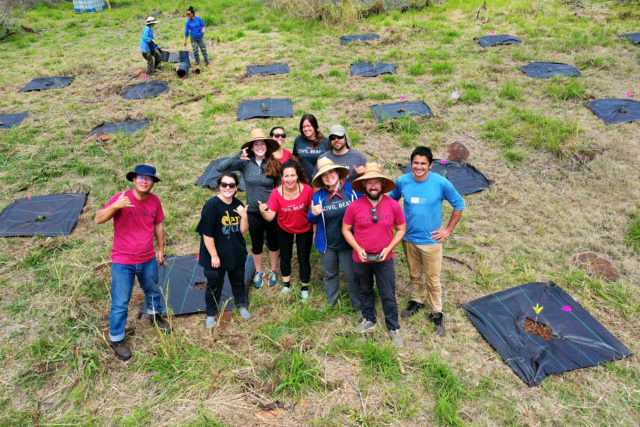 Among the ways to set up a tree planting for success is to involve professionals, someone like University of Hawaii Professor Camilo Mora (who serves on Trees for Honolulu’s Future panel of advisers) as the Civil Beat Treesters did. Use of technology helps too, like Mora’s innovative watering device that recently received a patent. All good here, Team Civil Beat! Civil Beat staff members planted native trees to offset their carbon emissions on March 1 at Camp Palehua on the west side of Oahu. Our message to individuals and groups who plant trees is to follow Civil Beat’s lead. It’s not enough to plant the trees. It’s essential to identify and install the correct tree for the site and then “own” them, not in the private property sense, but rather by taking responsibility for their maintenance, whether that is a technological solution, human, or combined, once planted. One of the conclusions from a conference sponsored last year by Trees for Honolulu’s Future is that a key ingredient — the “secret sauce” for positive long-term outcomes from tree planting — is people owning the entire process — picking the trees, planting them, and then caring for them. That’s why we’re excited to have launched a brand new community-based initiative, Trees for Kaimuki, in cooperation with EnVision Kaimuki, the City and County of Honolulu’s Urban Forestry Division, Smart Trees Pacific and the National Park Service. The concept behind this initiative is twofold: 1) involve residents and business owners/employees in the planning, planting, and caring for new trees that lead to a sense of community ownership and pride; and 2) concentrate the tree initiative in a single community that can then serve as a replicable and inviting model for other communities. Every tree planted right will benefit our community (click here for more). Once you’ve planted that tree, please record and count it toward islandwide efforts to plant 100,000 trees by 2025. Get your tree on the map by clicking here. 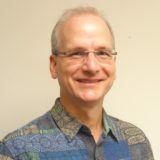 Trees for Honolulu’s Future is happy to connect interested groups and individuals with organizations who can help them achieve the best possible outcome. Visit our website for more information. What we want is the right tree, in the right place, getting the right care. Trees are cool! And so are the Civil Beat staff and people who take action and care about our collective future. Daniel Dinell is executive director of Trees for Honolulu’s Future, a nonprofit organization with a vision for a tree-filled island that preserves and enhances our quality of life, especially in the face of climate change.